Great gifts deserve great bows! This package comes with 12 traditional star shaped poly bow comes with an adhesive back and 72" of matching ribbon to complete the look. These bows are also the perfect colors to use in memory of our soldiers. Search our line of other great gift bows and ribbon to wrap up any special gift. 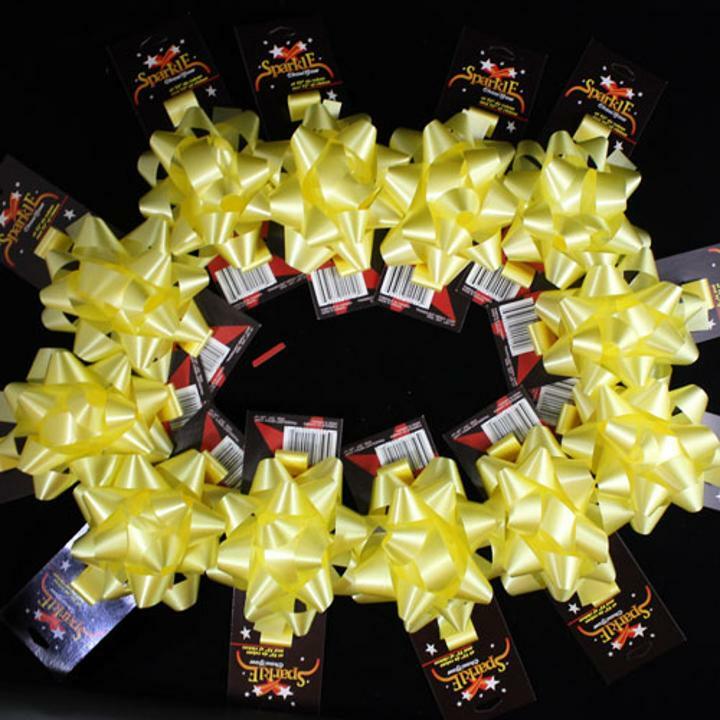 Each yellow star bow measures 4". L: 16.0 in. W: 13.0 in. H: 3.0 in.